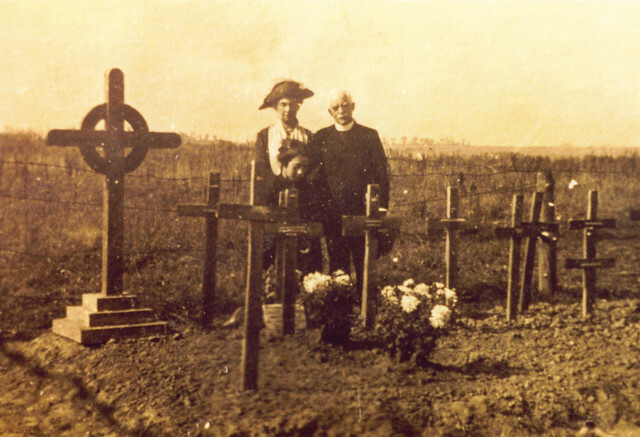 With the Somme anniversary taking place last weekend, the Somme theme continues this week with an unusual post on Great War Photos; an image and an audio clip of a Great War veteran talking about the Somme. The Liverpool Pals were formed in Liverpool in September 1914 as Lord Derby’s own ‘private army’ until they were taken over by the War Office. They recruited widely across the city reflecting it’s varied social nature in a way that no other formation did between 1914 and 1918. 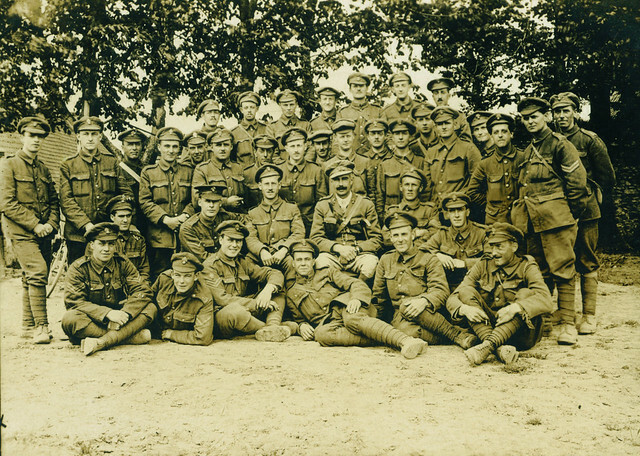 The battalions wore their own special badge, seen in this photo of them in training in 1915, which following the Derby family’s coat of arms – officially they were part of the King’s Liverpool Regiment. The Pals crossed to France in 1915 and served with the 30th Division in the quiet months on the Somme front before going into action on 1st July 1916 in the attack on Montauban. 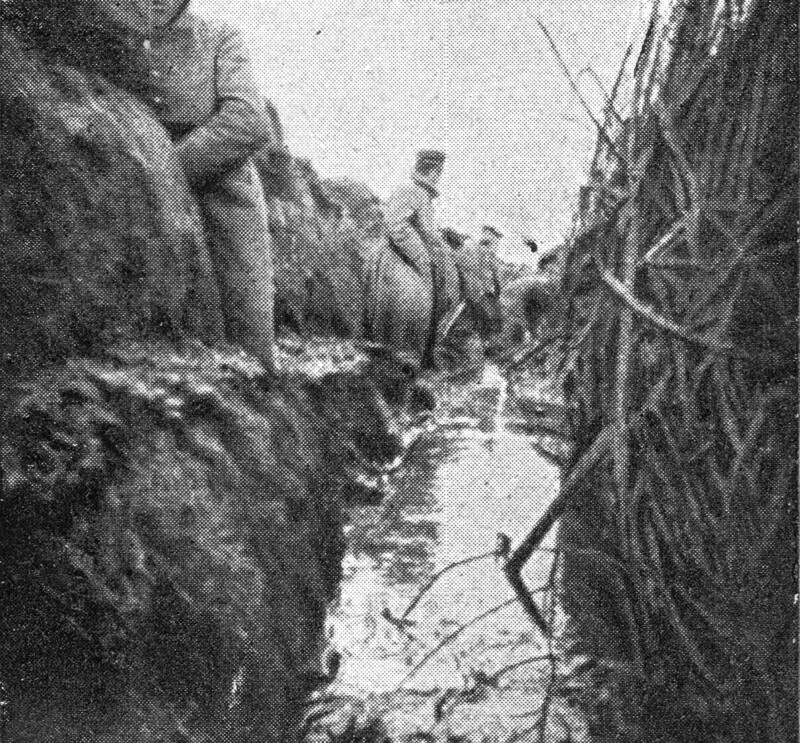 One of their battalions was on the extreme right flank of the British Army on the Somme and went over linking arms with their French comrades. 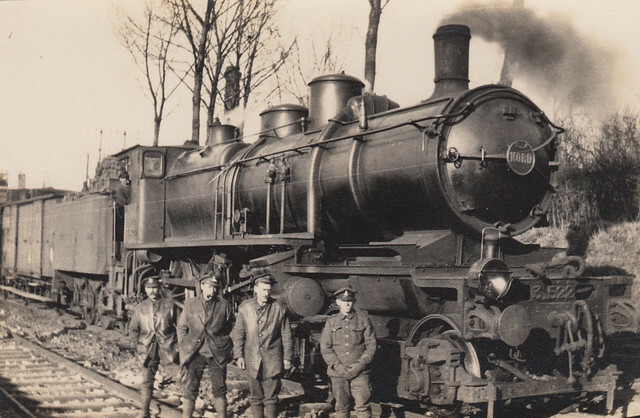 The battalions achieved all their objectives on the first – some of the few who did – but a few weeks later lost heavily in the fighting for Guillemont. 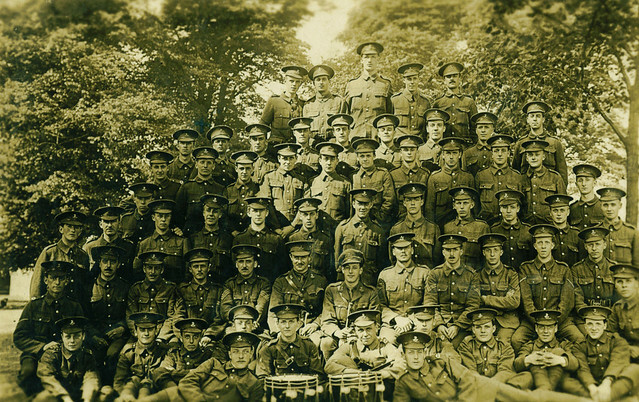 While the number of original Pals dwindled with each passing month, the battalions continued to serve until the end of the war. One of the original Liverpool Pals was E.G. Williams. A student interested in art and watercolour painting, Williams joined the Pals in 1914 and fought with them on the Somme, later being taken prisoner in 1918. He was one of several hundred Great War veterans I interviewed in the 1980s and this recording dates from that period, here talking about the 1st July 1916. In the clip he refers to a painting, one for more than 20 he did during the war, which he later donated to the Commonwealth War Graves Commission. Mametz Wood was a large area of woodland close to the villages of Mametz and Contalmaison reached by British troops within the first week of the Somme offensive. In a weeks worth of fighting it cost the Pals battalions of the 38th (Welsh) Division – “Lloyd George’s Army” – more than 5,000 casualties as they attempted to cross what became known as ‘Death Valley’ and fought their way from tree to tree, pushing the German defenders back. Today a large red dragon looks over the regrown wood, in memory of the sacrifice here in July 1916. This incredible photo is part of a collection taken by an officer of the Royal Welch Fusiliers who became a professional photographer after the war. 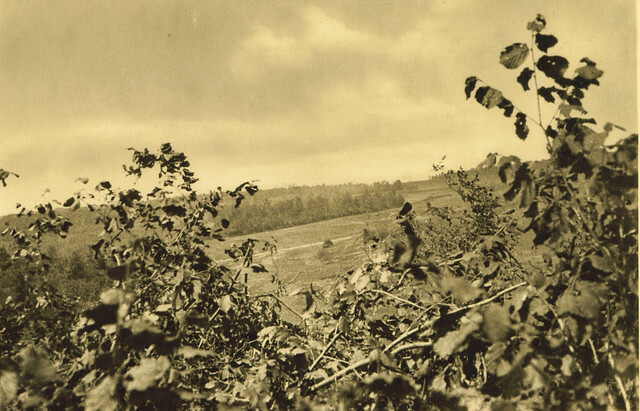 The image was taken up a tree near Caterpillar Valley just before the first attack and is simply entitled “looking towards Mametz Wood”. 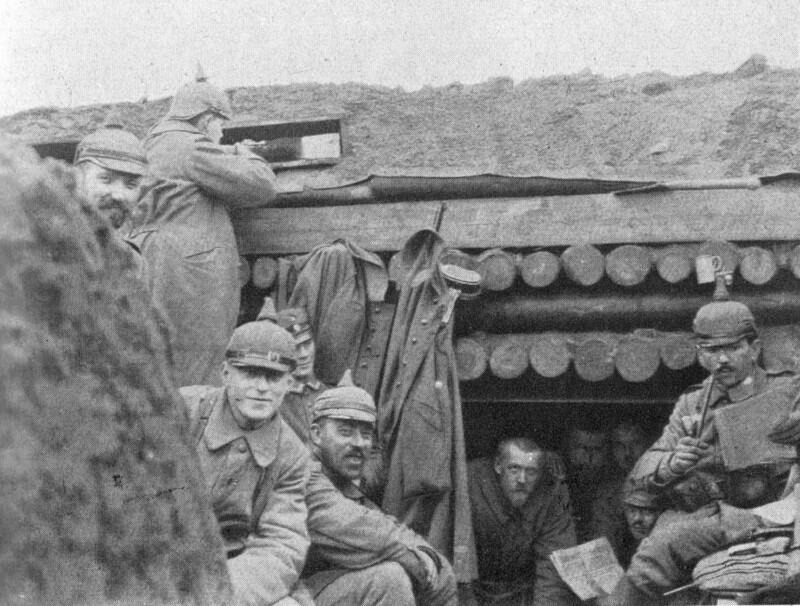 It is arguably the only known image taken in combat during the fight for Mametz Wood and the circumstances of taking it are unbelievable to say the least! When we think of the Somme, we think of smashed ground and crater zones; in July 1916 it was full summer and much of the Somme was still untouched, as this photo clearly shows. The village of Thiepval was one of the largest on the Somme prior to 1914. Dominated by a chateau, the family who owned it employed a large number of estate workers and owned local farms in the days when agriculture involved large numbers of people. In September 1914 it was captured by the Germans and turned into a bastion in their line of defence on the Somme, sitting on high ground that became known as the Thiepval Ridge. On 1st July 1916 the village was directly attacked by Pals Battalions of the 32nd Division, who were mown down in No Man’s Land by well entrenched German machine-gunners unaffected by the preliminary bombardment. The battle for Thiepval would continue for another two and a half months until it was finally taken by the 18th (Eastern) Division in a brilliant operation using tanks and clearly demonstrating the ‘learning curve’ on the Somme in 1916. Today it is the site of the main memorial to the missing on the Somme. This aerial photograph is from an original taken before the 1st July and shows the German trench system from Thiepval Wood (on the left of the image) across to the village. 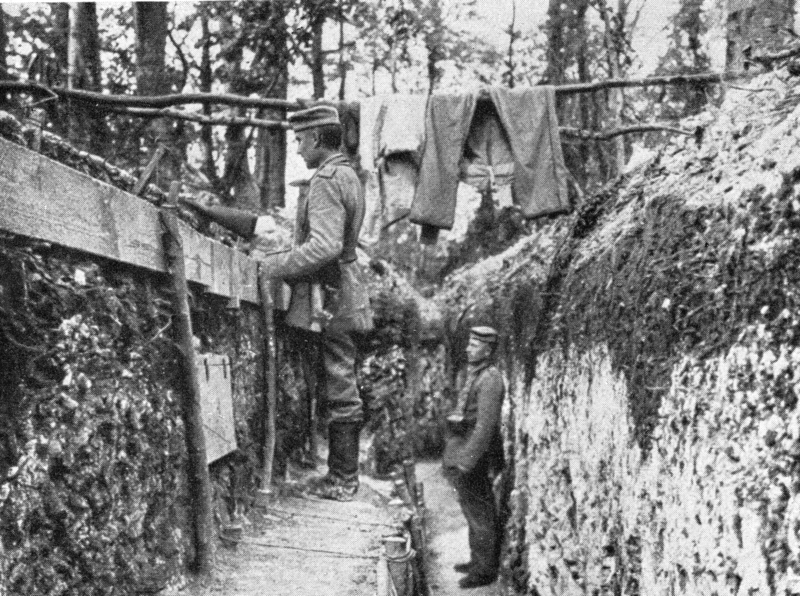 The intricate nature of the German defences and their obvious strength and depth are quite apparent from this photo; at least from the benefit of more than ninety years. 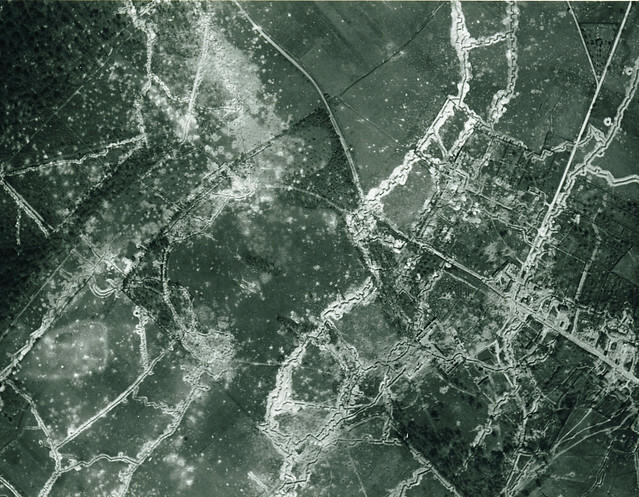 In 1916 as good as this aerial intelligence was, it was believed that artillery alone could destroy positions like this on the Somme front; something that 1st July 1916 would prove otherwise.